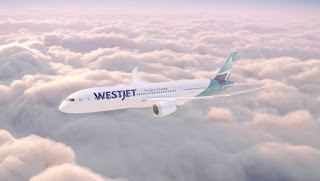 One of North America's leading airlines, WestJet from Canada has announced its fourth quarter and year end results for 2018 today which show the carrier reported full-year net earnings of $91.5 million. That compares with net earnings of $279.1 million for 2017, down just over 67%. In the fourth quarter of 2018 the airline achieved net earnings of $29.2 million, down from last years net earnings of $47.8 million. "In 2018 we executed several significant milestones on our path to becoming a high-value global network airline," said Ed Sims, WestJet President and CEO. "As we enter 2019, we continue to build momentum and are well-positioned to deliver on our strategic initiatives and expand margins. I would like to thank every WestJetter for their hard work through an especially busy holiday season culminating in our WestJet mainline business achieving the highest completion rate in North America in December, as measured by FlightStats."